Take a bowl. Add corn kernels, oregano, garam masala, black salt, pepper, salt and mix it well. Take another bowl. Add 2 ladleful of batter, 3 tablespoon of above corn mixture and mix it. Take non stick tawa and heat it. Pour the mixture and spread it evenly to make a circle. Add little oil on the sides and on the top. Cook it on a high flame and cook it till it is light brown. Turn and cook it slightly on the other side also. Turn and fold it from both the sides to make a roll. 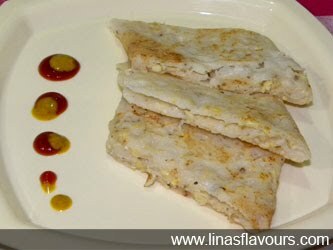 Same way prepare all the dosas, mixing batter and corn mixture one at a time. Serve it hot with any chutney or tomato ketchup.